How simple it seems to be for national intelligence agencies to access our voice and data traffic. If the NSA in the US and GCHQ in the UK are doing this, simply by gaining access at source to the encryption codes for Sim cards through the emails of staff at one of the major Sim producers, then it is probably a safe assumption that other national or state sponsored intelligence operators are doing the same. The more critical your data, the more thorough and wide-reaching your checks on vulnerability will need to be, it would seem. Personally I remain concerned that for most of us (whether individually or in business) it is hard to be confident that you have this risk properly covered, in light of this sort of news. 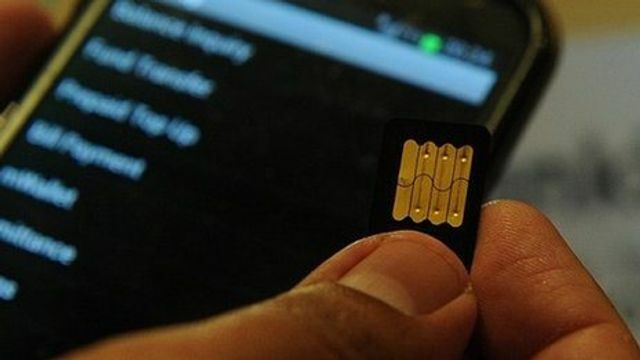 US and British intelligence agencies hacked into a major manufacturer of Sim cards in order to steal codes that facilitate eavesdropping on mobiles, a US news website says. The Intercept says the revelations came from US intelligence contractor turned whistleblower Edward Snowden. The company allegedly targeted - Gemalto - says it is taking the allegations "very seriously". It operates in 85 countries and has more than 40 manufacturing facilities. The Intercept says that "the great Sim heist" gave US and British surveillance agencies "the potential to secretly monitor a large portion of the world's cellular communications, including both voice and data".